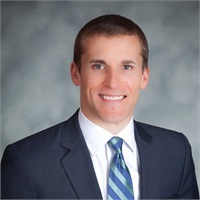 Jeffrey Maas, a Founder and Financial Planner affiliated with Retirement Security Centers, specializes in meeting the financial planning needs of those approaching or having already entered retirement. He and his business partner, Briggs Matsko, together bring over 50 years of financial services experience to the clients they serve. Their proprietary E.A.S.E. retirement process allows their clients to explore their full range of options and lifestyle choices prior to and during retirement while still remaining in full control to achieve the retirement they choose. Jeff is registered with Lincoln Financial Advisors, a nationally recognized broker dealer. Jeff began his financial planning career in 2003 when he joined the Sacramento, California office of Lincoln Financial Advisors, and since that time he has built a robust and dynamic clientele for whom he delivers comprehensive retirement income distribution strategies and support. His passion and expertise in retirement planning is coupled with his ongoing extensive demographic and economic research, which drives the lives of millions of aging Americans. His track record with hundreds of retirees has him regularly called upon for commentary, speaking engagements and television appearances with national media, industry associations, and his peers. As a CERTIFIED FINANCIAL PLANNER™ practitioner, Jeff delivers an objective and process-based approach that takes into consideration not only clients’ economics, but also their values and desires. It is his mission to help clients achieve a crystallized vision of their retirement from a psychological and financial perspective so they can proudly live with a sense of security in those decisions. Jeff’s insights typically result in meaningful dialogue with his clients, allowing him to effectively diagnose and design a customized financial plan that is intuitive as well as concrete in application. He has a unique ability to encourage and motivate clients not only to plan, but to act and implement their plans. Jeff delivers his services on a fee-basis but can also deliver a complete spectrum of financial services solutions as needed. He works on behalf of individuals, families, and institutions. Jeff graduated with a Bachelor’s degree in Business Administration with a double major in Finance and Management from California State University, Chico. He served on the Board of Directors for the Financial Planning Association of Northern California. Jeff regularly participates in continuing education opportunities which keep him abreast of the ever changing opportunities and strategies that can impact the lives of those he serves. Jeff and his family currently reside in Rancho Murieta, California.